From Aural Innovations #40 (September 2008) The Swedish band, BlandBladen, who have existed since 2002, have finally released their CD-R only release from 2004, with some additional overdubs. The members of this band have all contributed to the Øresund Space Collective, but this is their roots sound. It is all instrumental progressive, folky space rock music. The 4 instrumental songs are all masterpieces with top notch playing from all the members. They have a great rhythm section to back up the skilled guitar and keyboard playing, which play amazing solos on all tracks. The CD is simply captivating and the songs great. If you are fans of progressive, psychedelic instrumental music with a truly unique character, you must hear this one. Top notch. The band have recorded the start of four new songs in 2008 but sadly have disbanded for what looks like good now. You never know though. For more information you can visit the Blandbladen web site at: http://www.myspace.com/blandbladen. Blandbladen are a quartet from Malmö, Sweden who play an instrumental brand of Space Rock that blends Ozric Tentacles, jamming lysergic Psychedelia, Trance, and Progressive Rock. The band consists of Solen on Fender Rhodes & keyboards, Sabana on guitar & sounds, Kaufmann on drums & percussion, and Dave on bass & fishmouth. 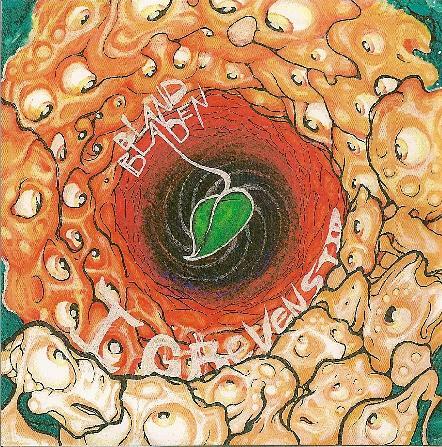 I Grevens Tid is their first album and includes three tracks in the 12-13 minute range and one at 6 minutes.